The car that lit a fire under everyone when it debuted in 2011 continues to blaze an enviable sales trail across the family-sedan market. The 2014 Hyundai Sonata sweetens the deal with new features and styling, and despite not offering a V6 or all-wheel drive (AWD), seems to offer buyers exactly what they want in a family sedan at an unbeatable price. Hyundai Sonata, great car for lower budgets! Love the style and slightly-sporty look of the Hyundai Sonata! I have a low income, so had to look into buying an older, used car. Key features I desired were safety features (such as seat belt alert, automatic/alert braking, blind spot car detector, alert for if you begin to swerve out of your lane, etc), a rear view camera for backing up, and a Bluetooth system. This car has all of my desired features, except for ALL of my desired safety features (only beeps to put on seat belt, no blind spot detector/swerving lane detector/automatic braking). So I do have Bluetooth where I can easily tell the robot lady different commands, call people, play music, etc. and the rear back up camera. Many other features such as an eco button and steering wheel control buttons. Overall, for my budget, I am extremely pleased with my Sonata! Great car, great buy & great price. I love the Sonata. The dealer I used was amazing. The Sonata was an easy buy, in my opinion it is a very easy low maintenance vehicle. Keep your service up and all will be well with the Hyundai Sonata. This was my first Hyundai I do not think it will be my last. The car drives well. The electronics in the vehicle are easy to use and get accustomed to. The tires on the vehicle are great. The Hyundai Sonata is roomy on the inside without feeling right and restricted. The Hyundai Sonata is good on gas and miles. I drive for work a lot and it is a durable and dependable vehicle. It is also a good price and very affordable. Hyundai is great with keep the consumer updated on recalls and model information and issue as they arise. Which is not often. Great vehicle great buy nice size car. Even with some issues, my car has been very reliable overall. My dislikes of my car stem mainly from my own lack of available time and/or resources to get issues with the car resolved. Another vehicle caused damage on my car and left the scene, but I haven't been able to get it fixed. A wonky sensor causes an issue when I fuel up that I found I can "bandaid fix" by turning the ignition to the on (but not cranked) position. Now a funny noise has started happening for a few seconds each time I start the car, but working full time, being a single mom, and also attending college full time doesn't provide much free time to be without my vehicle so it can go in the shop or much extra money to pay to get it fixed. 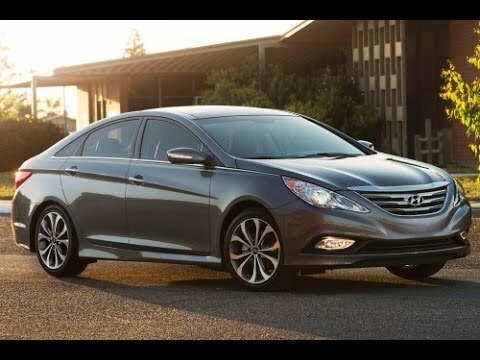 2014 Hyundai Sonata REVIEW! &amp; TEST DRIVE!!! !